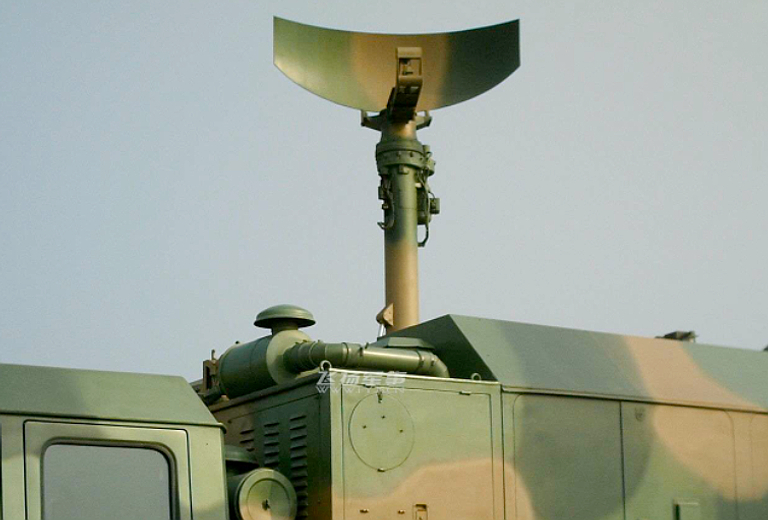 The H-200 Passive ESA (PESA) engagement radar used with the KS-1A SAM system is representative of the new generation of indigenous Chinese military radars. It is modelled on the Patriot's MPQ-53 engagement radar. 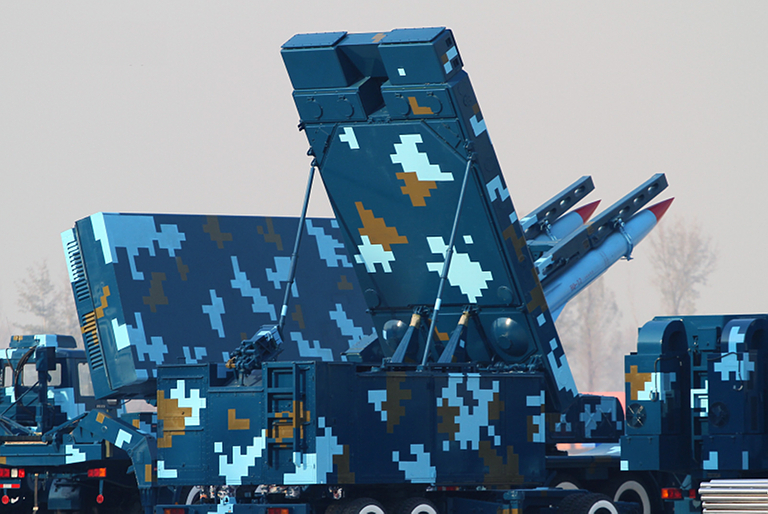 This is the Chinese derivative of the Russian 30N6E1 Tomb Stone used to detect and track targets, and control the launch of the S-300PMU1 / SA-20 Gargoyle air defence missile. 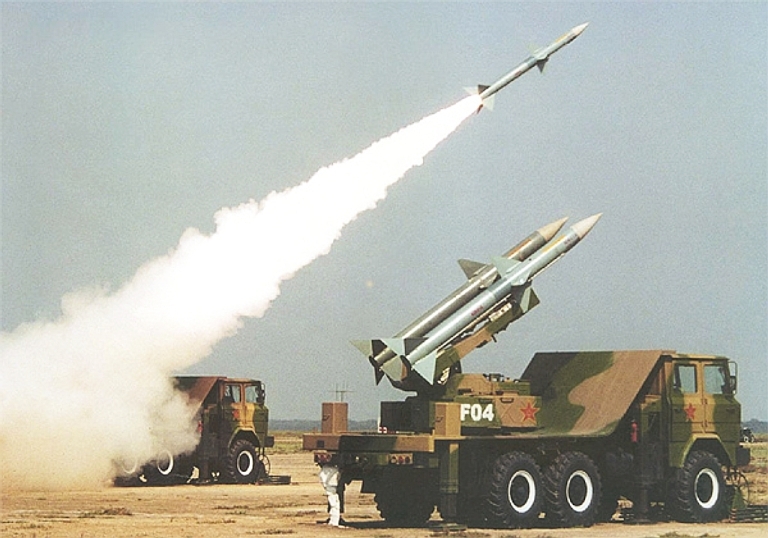 In the Chinese case, however, the HT-233 is also associated with the HQ-10, HQ-15, HQ-9 / FD-2000 or HQ-9 / FT-2000 surface-to-air Anti Radiation Missile. The latter was a combined Israeli/Chinese missile designed to take out the stand-off jammers which threaten SAM target designation radars. The parameter set is likely to be similar to that of 30N6E1 which it emulates. 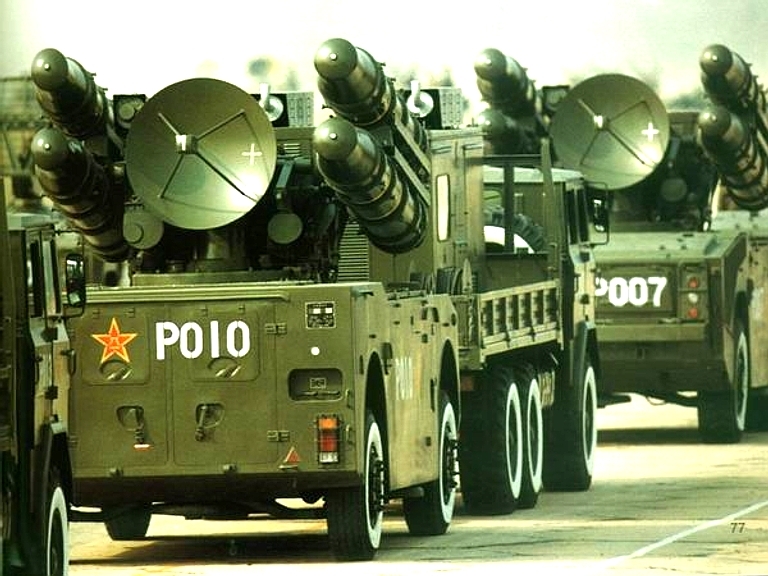 It is reported that the PLAAF air defence forces based in Fujian Province near the Taiwan Strait, are equipped with the FT-2000 and Russian-made S-300PMU1 SAMs acquired between 1991 and 1998. An FT-2000 battalion can function alone where it would seek its targets with ESM systems, but more commonly it is anticipated to be part of an S-300 detachment. Little is known about the radar other than it may function in G-band, probably between 5.2 and 5.9 GHz a sub-band for which production components are readily available. From recent descriptions, the antenna would most likely appear to be a passive phased array employing some 3,000 ferrite phase shifters (the 30N6 uses ~10,000 elements). It has mechanical scan in azimuth and electronic beam steering in azimuth/elevation, like the 30N6E1, up to 65° off aperture boresight, and can track up to 50 targets simultaneously. 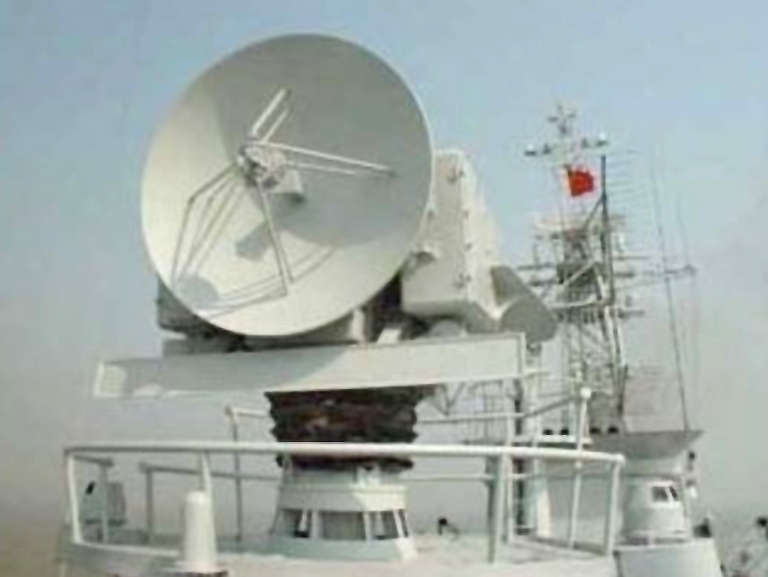 It is possibly that a variant of this radar, referred to by NATO as TOMB STONE, is installed in Type 051C LANZHOU class destroyers. 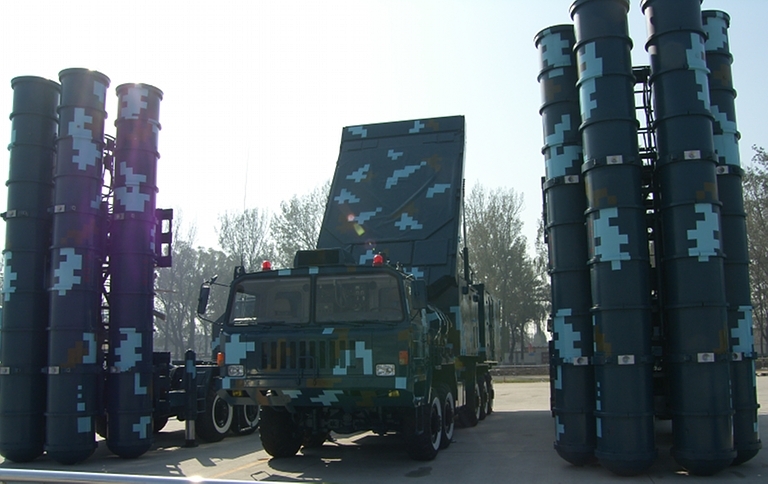 S-300PMU1 / SA-20 and FT-2000 systems are deployed around Beijing and at Longtian, near Fuzhou, facing Taiwan. They are also deployed near the coastal cities of Xiamen in Fujian Province and Shantou in Guangdong province. 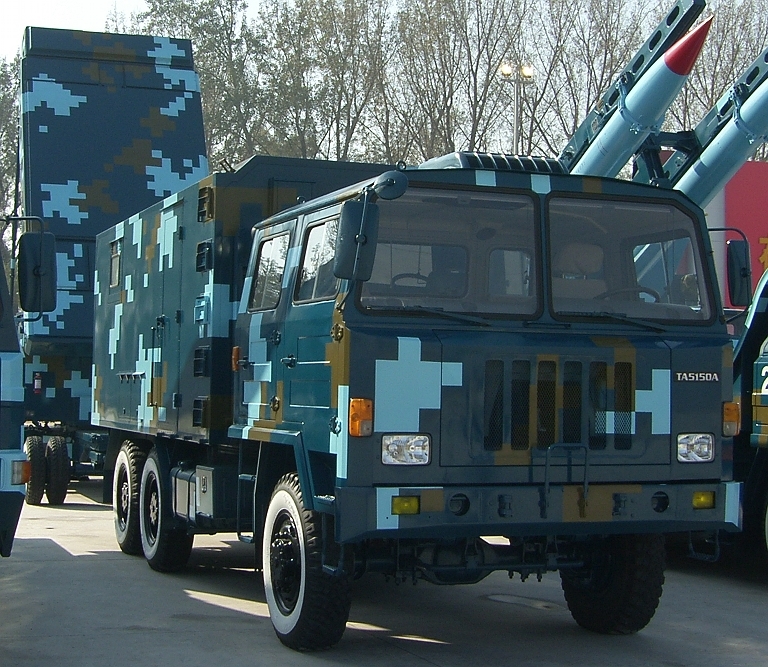 Production configurations of the radar is deployed on the 10 x 10 Taian TAS5501 chassis, based on the Russian MAZ-543 vehicle. 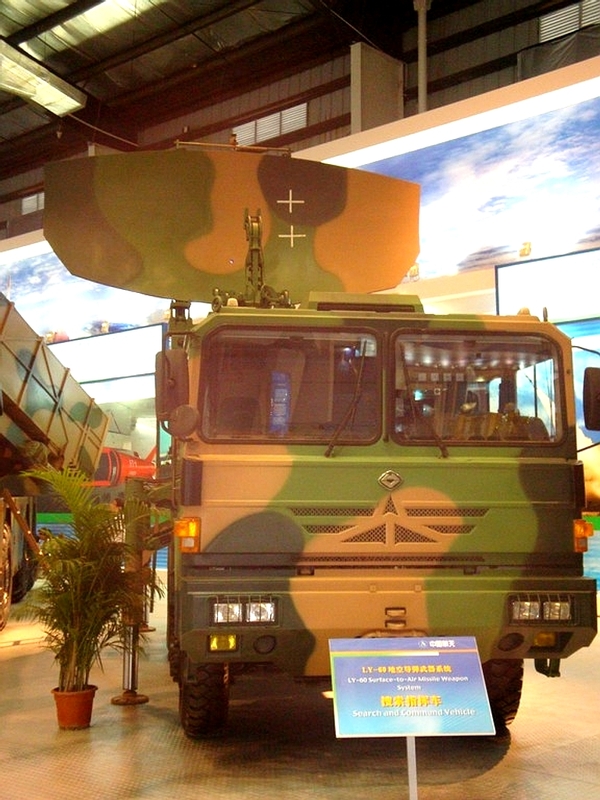 Developmental configuration of HT-233 PESA engagement radar on 8 x 8 Taian TAS-5380. Production HT-233 configuration on a 10 x 10 Taian TAS5501 chassis. This version includes an IFF array across the top of the primary aperture, and also shows the 30N6E1 style primary aperture and space feed well. Below display models of this variant (© 2009, Bradley Huang). Deployed HQ-9 battery. Above, self propelled YLC-2V to the left with its three support vehicles, in the background a HT-233 battery engagement radar. Below, transloader in the foreground, HT-233 to the right. "The SJ-231 guidance station is an important constituent part and the operational command and control center of the KS-1A weapon system. It is used to detect and track the aerial target and control and guide the missile. 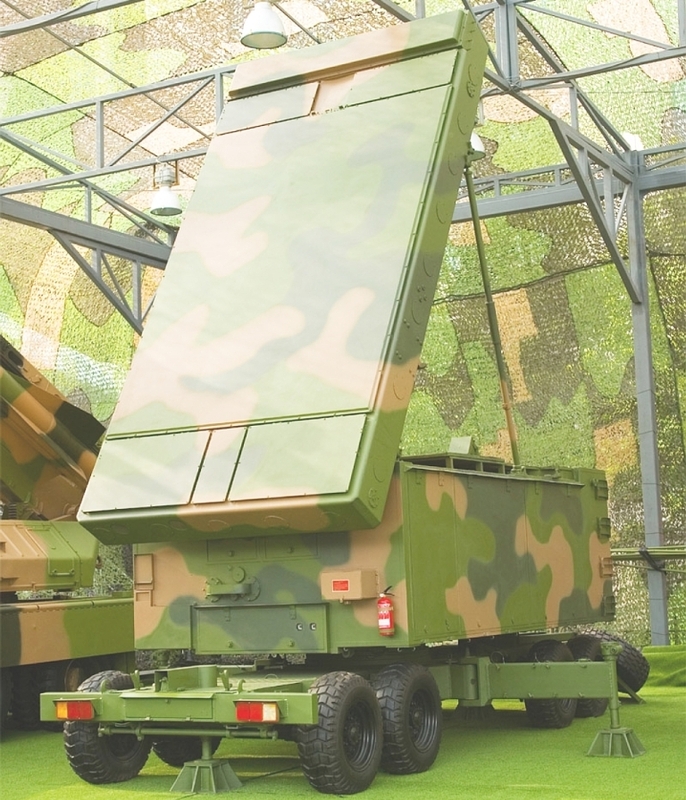 The SJ-231 guidance station is an advanced guidance radar system and is developed according to the modern war characteristics and the modern air-defense combat requirements. During the development of the guidance station, many advanced techniques in the radar technique development since 1990s are applied to improve the technical performance of the SJ-231 guidance station to a new level." The antenna on this radar is common to a HT-233, but the configuration is split across two 6 x 6 trucks. 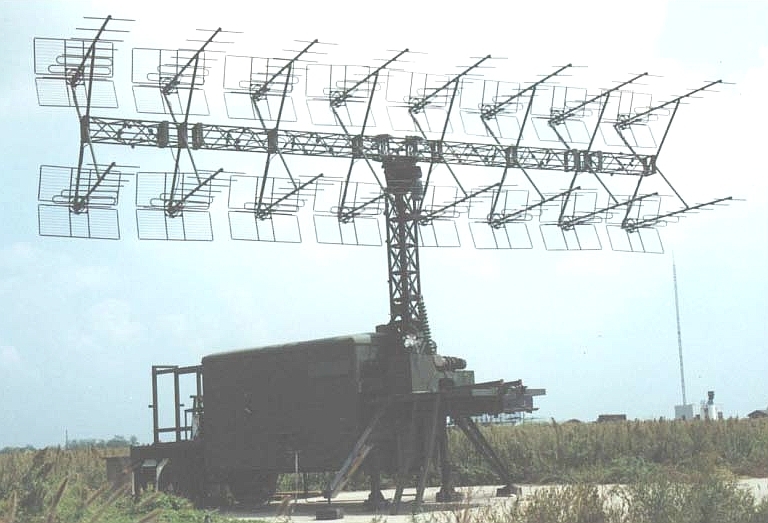 H-200 engagement radar and KS-1A TEL. The H-200 is semi-mobile, but with further evolution could qualify as mobile (© 2009, Bradley Huang). In 2000 the KS-1A was promoted as a new air defence missile, supplanting the earlier SA-2 copy known as the KS-1 (Kaishan-1, refer SJ-202). 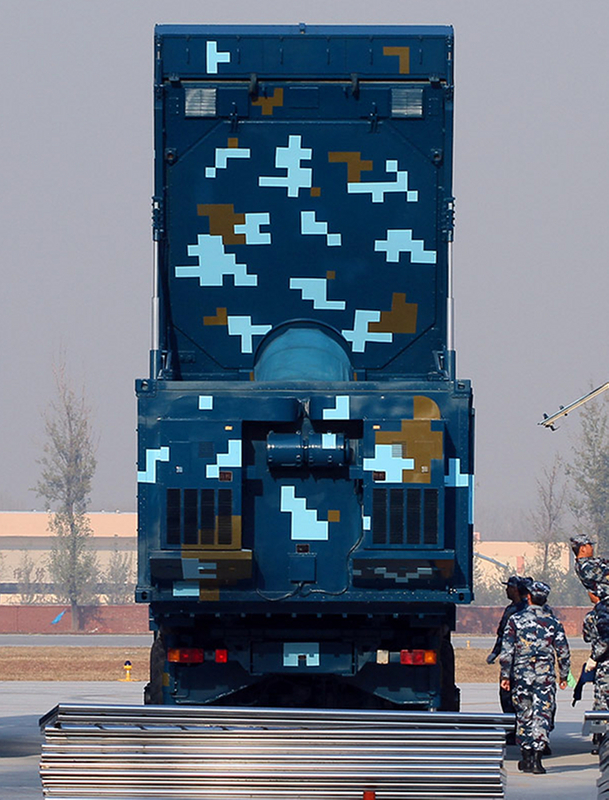 A ‘medium-to-high altitude, long-range SAM guidance station’ is how this radar is presented and it is believed to be a Chinese reverse engineered copy of the American AN/MPQ-53 Patriot radar. This being the case, the H-200 can be expected to function in G-bands, offering integrated electronic sector surveillance, target detection (TD), target tracking (TT), Identification Friend & Foe (IFF), and missile guidance (MG) functionality. Set-up time ≤30 mins Tear-down time ≤20 mins qualifying the radar as semi-mobile. Note 1: The KS-1 missile is usually associated with the SJ-202, whereas the KS-1A is being associated with the H-200 / KS-1A phased array. Note 2: Antenna is very similar to that of BL904. 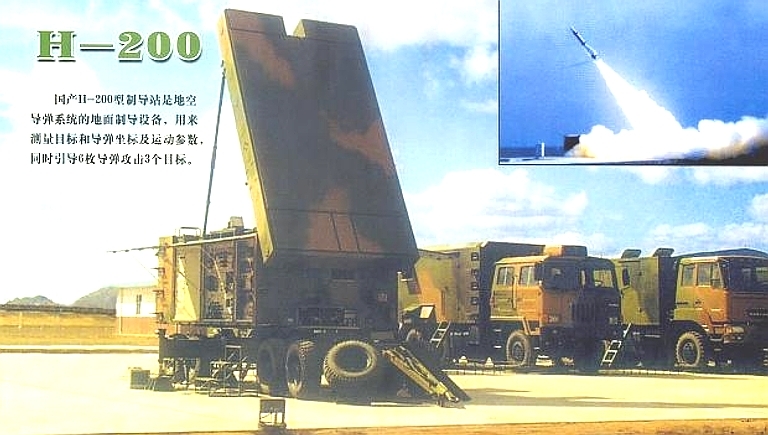 A deployed example of a H-200 / KS-1A phased array radar can be seen at 43º 56’ 57.18” North, 87º 40’ 25.49” East, surrounded by six probable KS-1A missile launchers. The H-200 is modelled on the MPQ-53 and 30N6E1 with a space feed arrangement, but using a simple horn rather than lens arrangement. 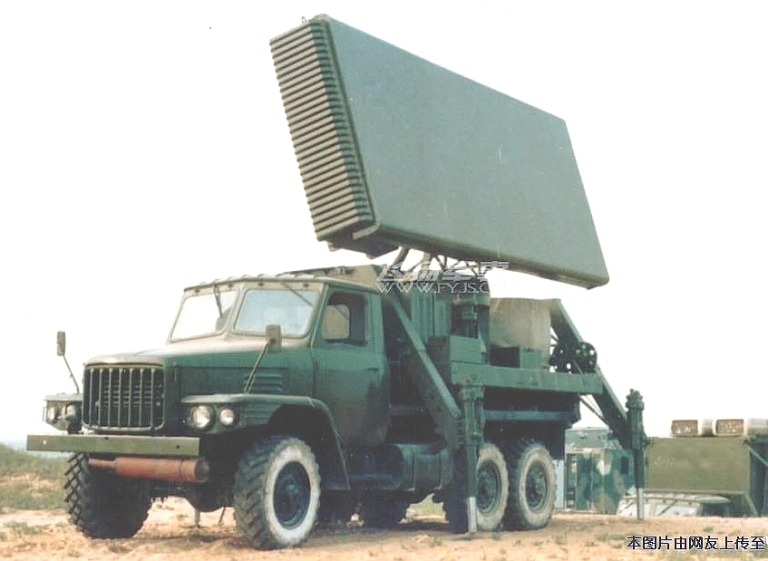 GIN SLING B is the NATO name for this engagement radar which appears to be a Chinese version of the old Soviet SNR-75 FAN SONG radar, (see also SJ-202) which is deployed with the SA-2 Guideline or KS-1 SAMs. It comprises a number of radiating elements. There are two E/F-band Lewis scanners. These are believed to be the azimuth and elevation air search elements, although this radar would not normally function in isolation, and would usually receive target prompts from any one of a variety of volumetric search radars. An F-band element is possibly used for target tracking whilst G-band elements are for missile guidance. An I-band element reportedly has a range only (RO) function for accurate range measurement whilst a D-band element may have an IFF application. ZD-2(B) is the designator given to the complete missile guidance station associated with the HQ-2B missile, whilst 2FA(B) is the radar transmitter/receiver sub-assembly. The RF and PRF/PRI value suffixes (refer book) imply their linkage during transmission. G2 may represent a second transmission source with subtly different parameters, to reduce the probability of mutual interference if they operated in close proximity. The Lewis Scan search technique combines the output of two separate assemblies that are set at 90° to each other. The RF feeds rotate independently to achieve horizontal and vertical scans respectively, over a narrow sector at a medium data rate, usually between 10 and 25 Hertz and one source has suggested a rate between 15.5 and 17 Hz This system is ageing and is not included in the CRIA 2004 list of indigenously supplied equipment (refer book). However, whilst it might still be materially supported, it is probably out of production and due for replacement. In the meantime its major attributes appear to have been retained in the visually less sophisticated SJ-202 (see separate entry), which is being promoted for export. This radar has been exported to Albania, Iran, North Korea and Pakistan. 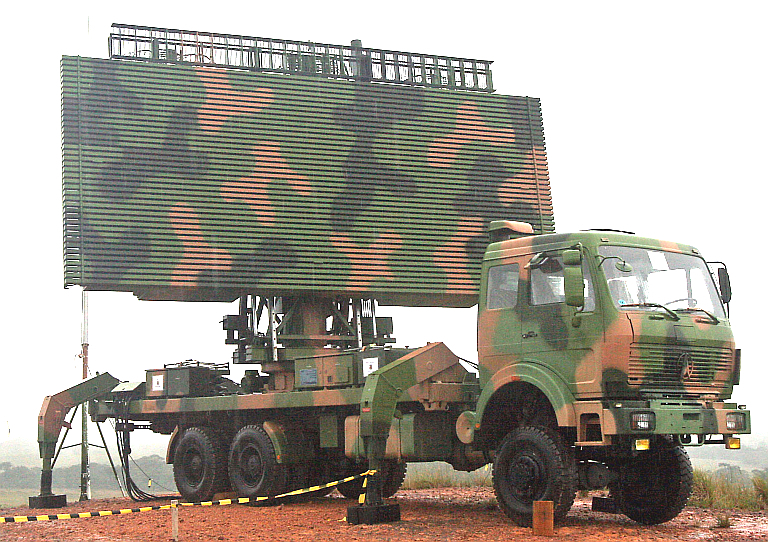 The SJ-202 is a fire control radar and is reported by Taiwan to be associated with the KAISHAN-1 (KS-1) SAM, although is may also be deployed for use with the HongQi-2 (HQ-2B/J) and SA-2 SAM detachments, where the latter still exist. 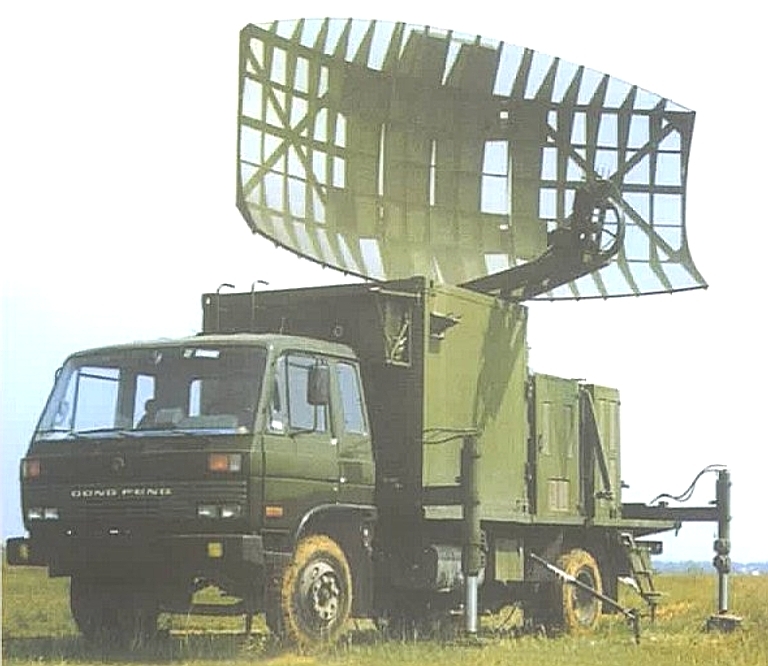 It appears to be an indigenous development of the system known generically to NATO as GIN SLING (see also separate entry for 2FA(B) / GIN SLING B), out of the Russian FAN SONG system to which it has very similar physical attributes and, therefore may exhibit similar transmission parameters, particularly as it appears to deploy identical LEWIS scan tracking antennas in both the horizontal and vertical planes. In this respect, although variously reported so to be, it is not a phased-array radar. The Lewis scanners are anticipated to function in the 10~25 Hertz range, and other parameters may be similar to those of GIN SLING B. A 2004 display model of the SJ-202 Gin Sling A. The HQ-61 Surface to Air Missile system is derived from the Selenia Aspide, itself a derivative of the US AIM-7 Sparrow. 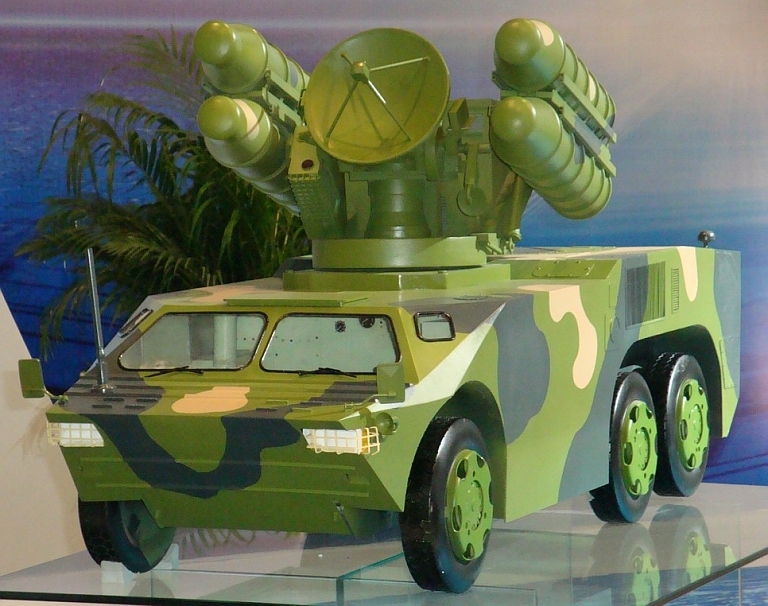 The SAM is available in naval and land based air defence variants. The land based variant uses the Type 571 acquisition radar, a derivative of the Soviet P-15 Flat Face, and a CW tracking and illumination radar. The latter has not been seen in the West, but its naval variants have and are known as the Type 341 RICE LAMP and Type 342 FOG LAMP. Type 341 Fire Control System - this ageing I-band fire control radar is reminiscent of HAWK SCREECH a Soviet shipborne fire control system of the 1960s and 1970s and it is suspected that Type 341 can probably trace it's origin to that period. Originally widely fitted in JIANGHU, LUDA, JIANGWEI frigates for the control and direction of HQ-61 missile firings, it has since been replaced in many installations by Type 347G RICE BOWL in Chinese vessels, but not in exported hulls such as the Type 053HT CHAO PHRAYA class in Thailand. It may still also be installed in some other older hulls where it supports either the twin 37mm or 57mm general-purpose guns although it appears to have been removed from the Thai Navy’s HUDONG class replenishment tanker. Below the parabolic dish there is a longitudinal antenna-like array. The application is unknown but could be either an I-band, end-fed search array for which it is about the right size assuming that the director can rotate on its pedestal -or more likely it may have an IFF-like function. Type 342 Fire Control Radar - this H/I-bands radar shares some physical similarities with the old Soviet OWL SCREECH fire control system. Known in NATO as FOG LAMP, it is currently installed in JINGWEI I class frigates and is used as the target tracker for the HQ-61 surface-air-missile (SAM) systems in that hull. This radar was also fitted in JIANGDONG class frigates, since replaced by later versions of JIANGWEI I. It is believed that Type 342 might be nearing its demise in the PLAN. There are some similarities with Type 313, which is an I-band system originally developed in the late 1980s for land based and naval applications. Although reported as an H/I band radar it is considered to function within the range indicated because H-band is preserved specifically for satellite related activities. There is a single web record of a Type 342C but no details about this assumed emitter have been found. However, based on precedent this could be a land based mobile variant. A HQ-61 battery launching a weapon. 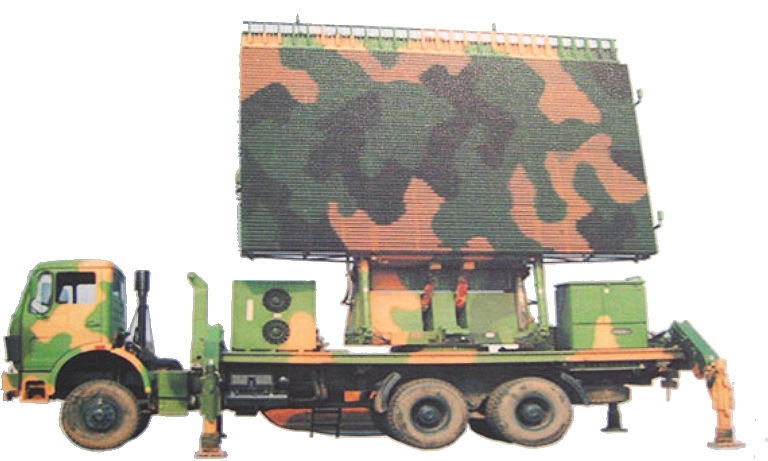 LY-60 / HQ-64 Engagement Radar (image © 2009, Zhenguan Studio). 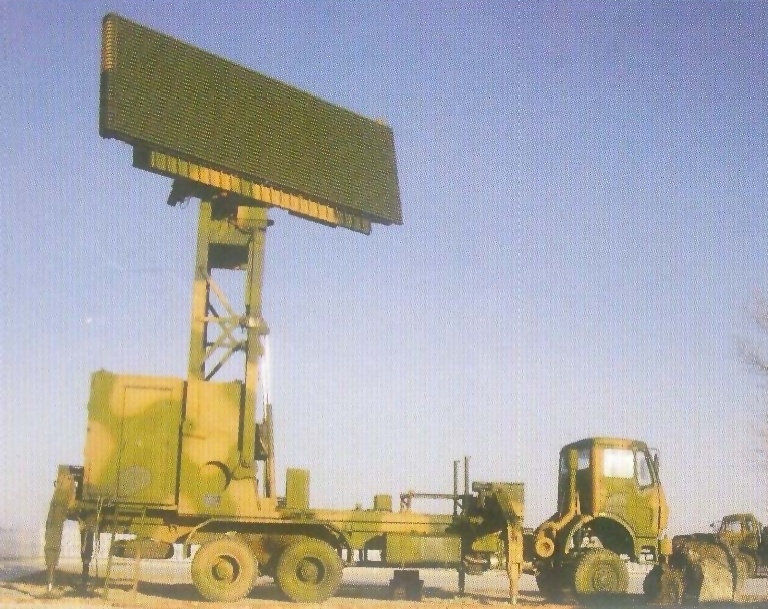 Very little has been disclosed to date on the HQ-64/LY-60 engagement radar, with the system first being displayed publicly in late 2008 (above). This radar is primarily a Continuous Wave X-band illuminator for the monopulse semi-active homing LY-60 missile round, a reverse engineered Aspide Mk.1 (AIM-7 derivative). The simplicity of the fixed single horn feed makes it unlikely that this radar includes a monopulse precision angle tracking capability often seen in Russian CW tracker/illuminator designs. The HQ-7 family of SAMs are derivatives of the reverse engineered Thomson CSF Crotale. The HQ-7 is a Chinese clone of the French Thales/Thomson CSF Crotale SAM. During the 1970s the French supplied samples of the Crotale which was promptly reverse engineered. The cloned Crotale has been built in two configurations, a high mobility variant for PLA Army units on a 4 x 4 scout vehicle, and a less mobile PLA-AF air field defence system, using either a trailer or a truck platform. A naval variant as also been developed. 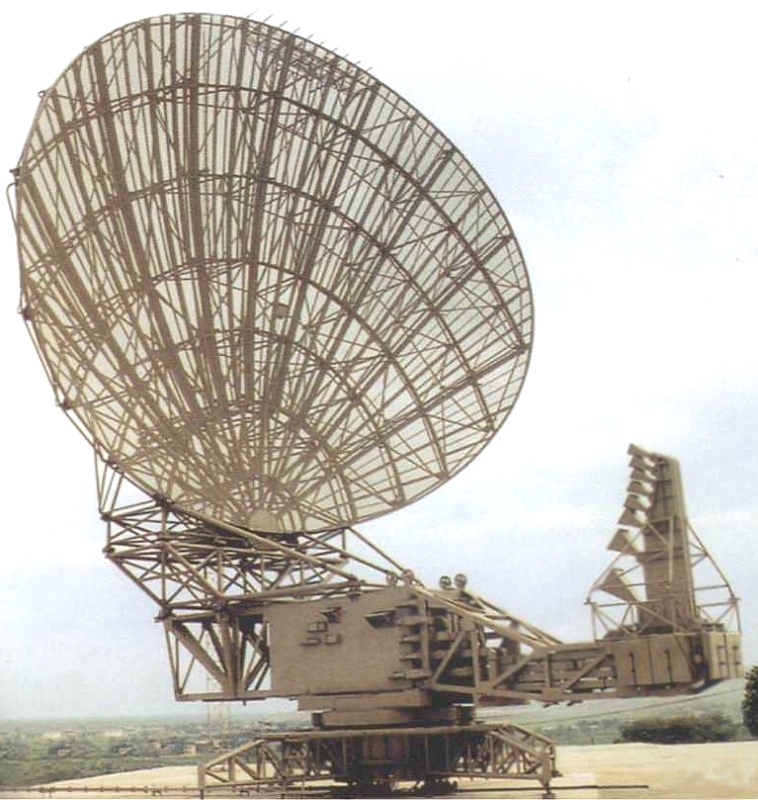 A four round elevating tube launcher turret is used, mounting the Ku-band Automatic Command to Line Of Sight monopulse radar dish antenna. Export variants are the FM-80 and improved FM-90 with a FLIR tracker and longer ranging missiles. The naval HQ-7 installations on the Lua, Luhu, Luhia and Jiangwai II classes employ the Type 345 engagement radar, believed to be a reverse engineered Thomson-CSF Castor 2J/C. 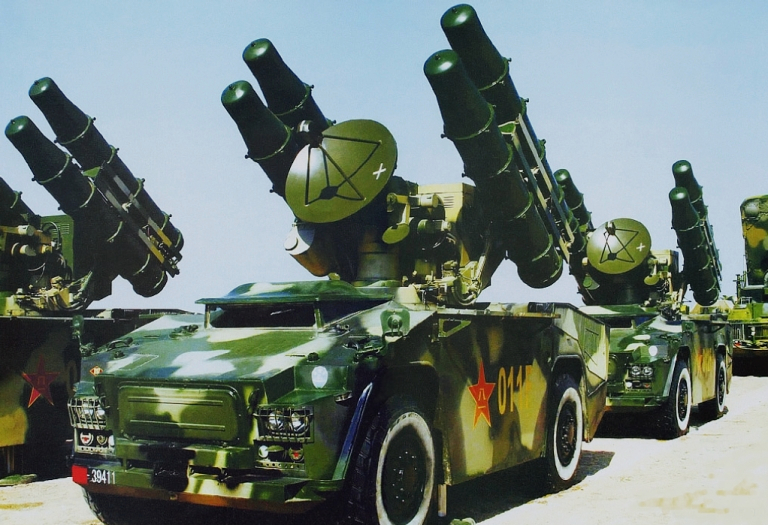 If the Chinese copy of the Castor 2J/C is faithful then it will have pulse compression, velocity discrimination filters, frequency agility to enable clutter de-correlation and a passive tracking capability. System employs Doppler tracking with a first blind speed of 1,000m/sec. Maximum airborne target tracking range is given as 40km. Antenna beamwidth is reported to be 0.67º with 43 dB of gain across a stabilized elevation of -25º~+85º. Peak power is given at 30kW with an antenna gain of 43.0dB. HQ-7FS/FM-80 engagement radar on 4 x 4 TELAR. 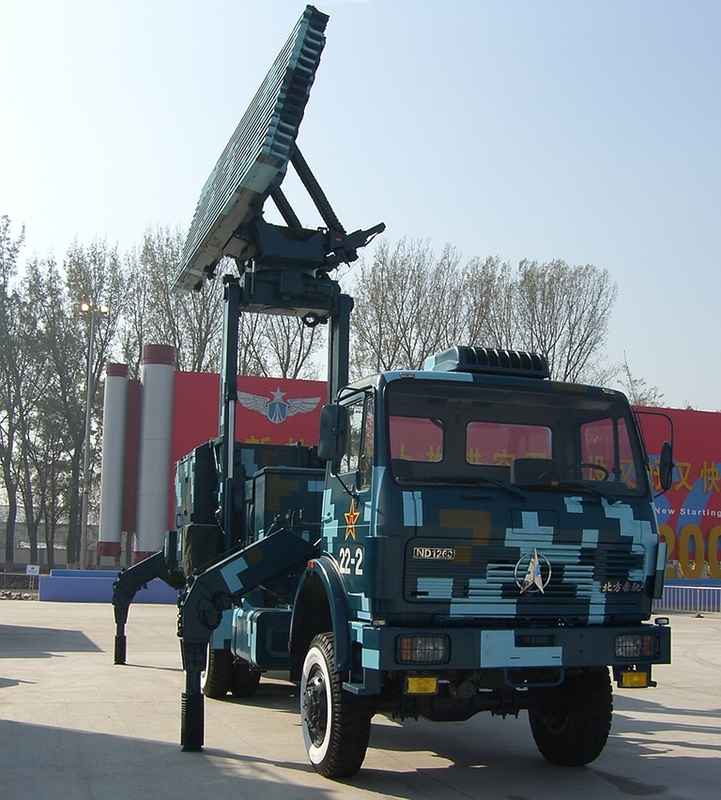 HQ-7FS/FM-90 engagement radar on 6 x 6 TELAR (image © 2009, Zhenguan Studio). 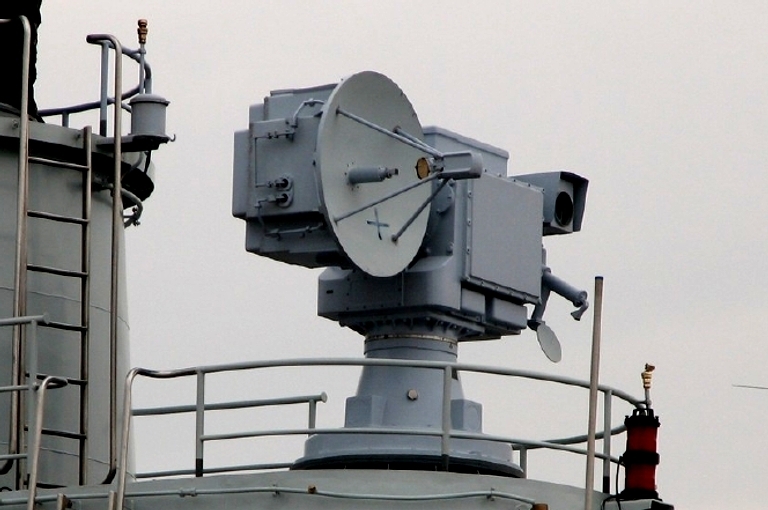 Type 345 Crotale engagement radar (image © 2009, Zhenguan Studio). 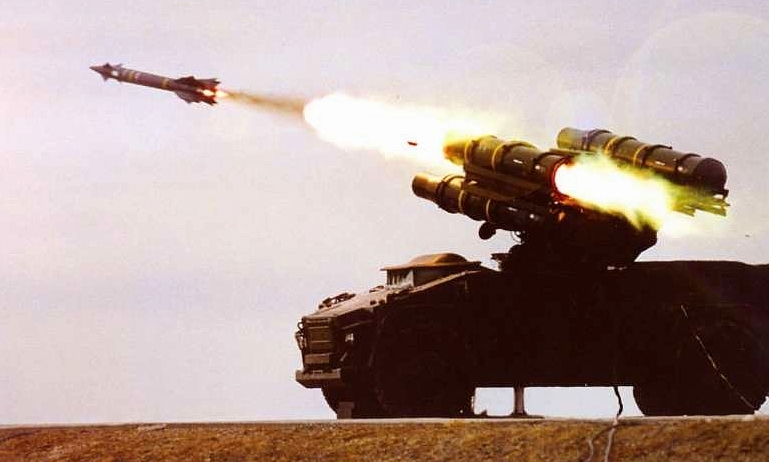 The LD-2000 SPAAG/SPAAGM is intended for point defence of fixed ground sites against low flying rotary and fixed wing threats, and has significant growth potential as a Counter-PGM (C-PGM) and Counter-RAM (C-RAM) terminal defence system. The design employs two radars, a TR-47 series engagement radar for the gun mount, and an acquisition radar mounted on a telescoping mast. 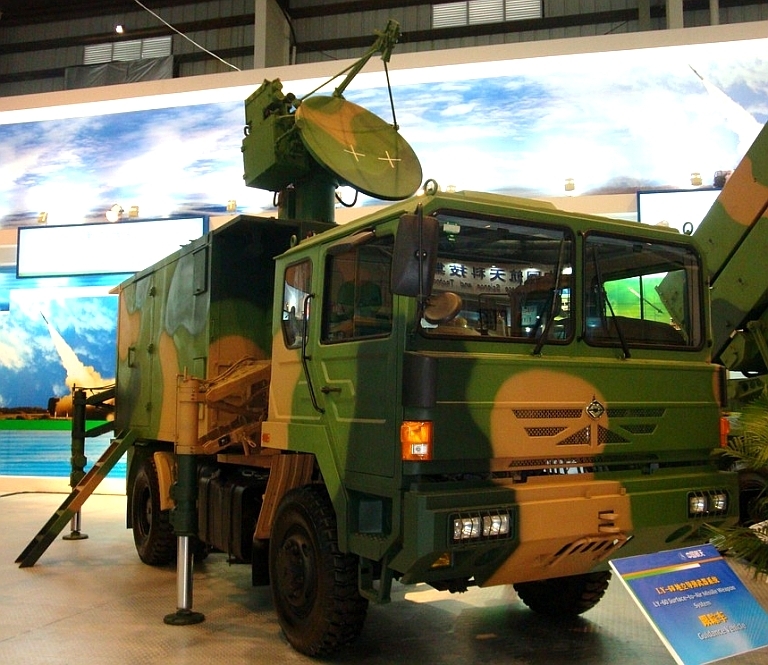 NORINCO have confirmed that the tracking radar operates in J-band, estimated between 15.7 and 17.3 GHz, with a maximum cited range of 9 km. This would imply a maximum PRF of around 16,000 pps. There is also a coupled TV and IR tracker system on the weapon, that was used for acceptance trials, which were apparently successful. 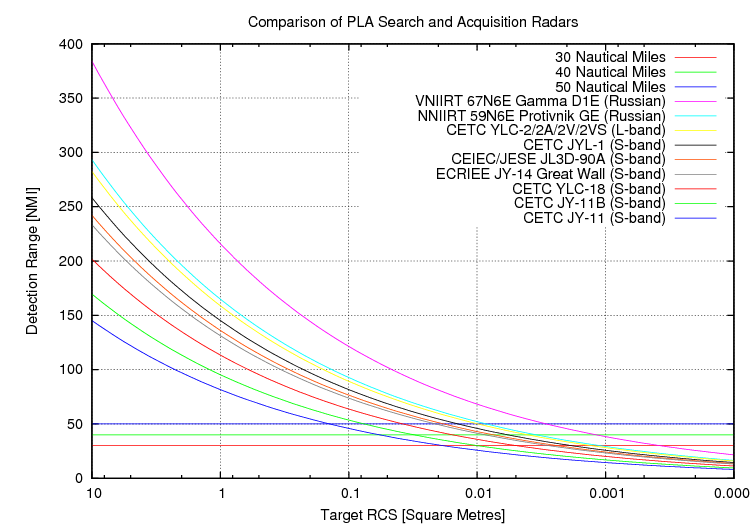 The acquisition radar functions in I-band, estimated between 8.8 and 9.7 GHz. Following the trials, in an original format vehicle, it is now being offered for export. As can be seen from numerous picture images, the I-band acquisition radar has now been integrated into the main LD-2000 combat vehicle (CV). There appears not to be an Intelligence and Communications Vehicle (ICV) any more, which gives the CV more freedom. The I-band acquisition radar also has a new reflector with a dual horn feed, for improved vertical coverage, and a new turning motor which might imply a complete new I-band system. According to Christopher F. Foss in JDW 25Nov09 p27; the gun is a Type 730B 30mm 7-barrel Gatling with a max rate of fire of 4,200 rounds/min, over an effective range of 2.5 ~ 3.5 km. The weapon is loaded with 1,000 rounds, enough, apparently, for about 48 potential target engagements. 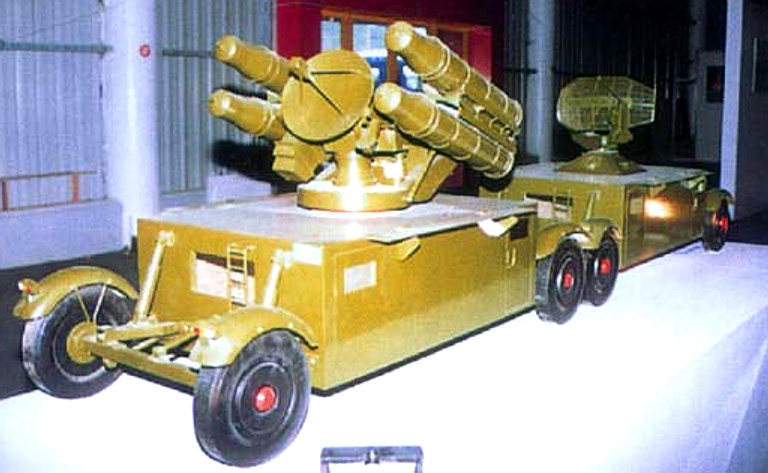 As reported originally in the Chinese radars text, the gun is capable of firing armour-piercing discarding sabot (APDS), high explosive incendiary (HEI) and target practice (TP) rounds. The limitation of the existing LD-2000 design is in its acquisition radar, which is not suitable for high speed low radar cross section targets, especially flown along steep trajectories. This precludes the use of the current LD-2000 configuration in C-RAM and C-PGM roles. The TR-47 series tracking radar has been used for naval shipboard defence applications and is claimed to be effective against Mach 2 low signature sea skimming threats, making it viable for land based C-RAM and C-PGM roles. 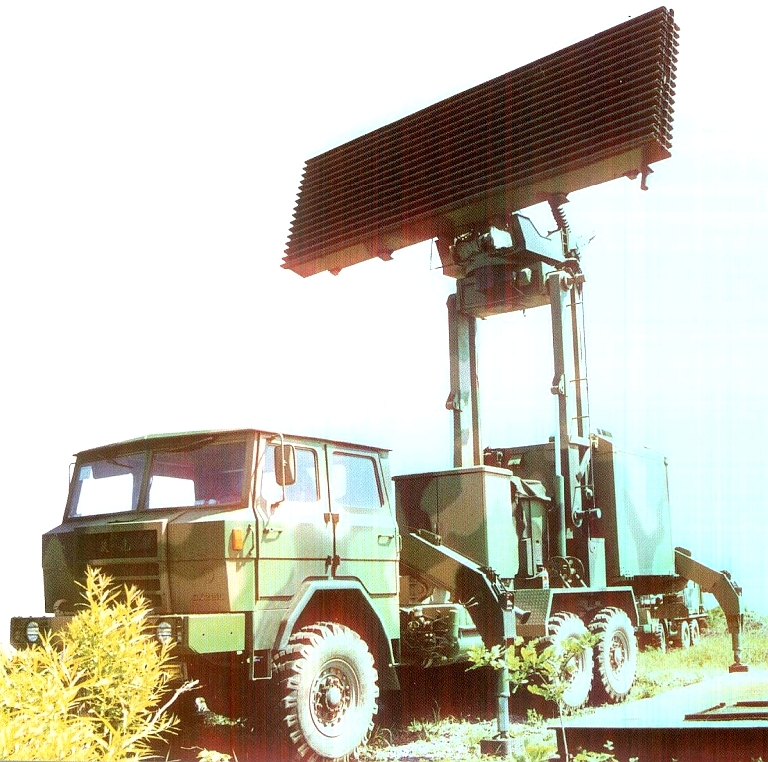 The principal adaptation required to make the LD-2000 a highly capable C-RAM/C-PGM system is integration with a suitable acquisition radar design, such as the SLC-2 or newer Type 704 series counter-battery radars, for a narrower C-PGM role an existing air defence phased array such as the H-200 would be suitable. The existing acquisition radar is a low cost design suitable for airborne battlefield threats, but not the more challenging C-RAM and C-PGM roles. 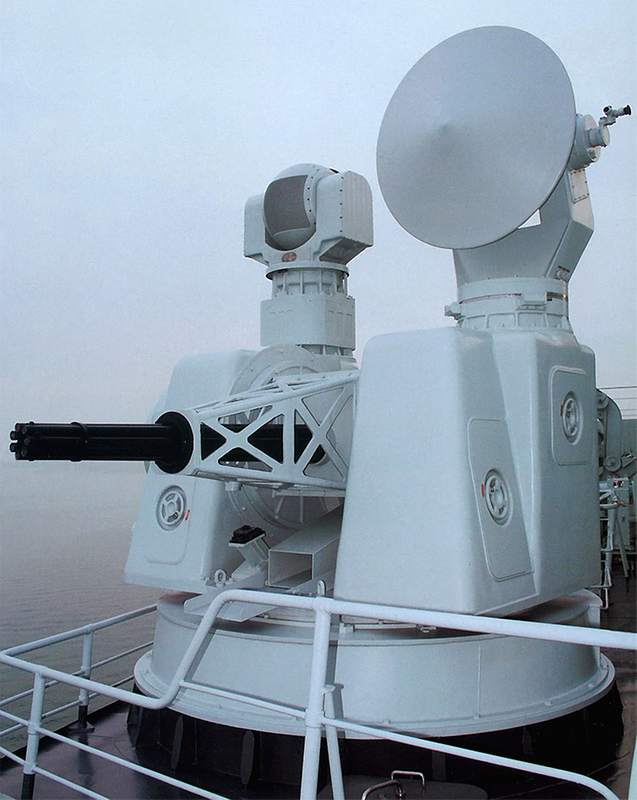 Naval variants of the Type 703 are direct equivalents to the European Goalkeeper CIWS. The massive L-band YLC-2 bears much similarity to the Thales TRS-2230, the ITT-Gilfillan 320 and NNIIRT Protivnik GE. This radar is carried in the 2004 CRIA listing of Chinese indigenous products. There is also a new version designated YLC-2A (next page), and a self-propelled version; YLC-2V. (See Section 5.7), but note that they both function in E/F-band. 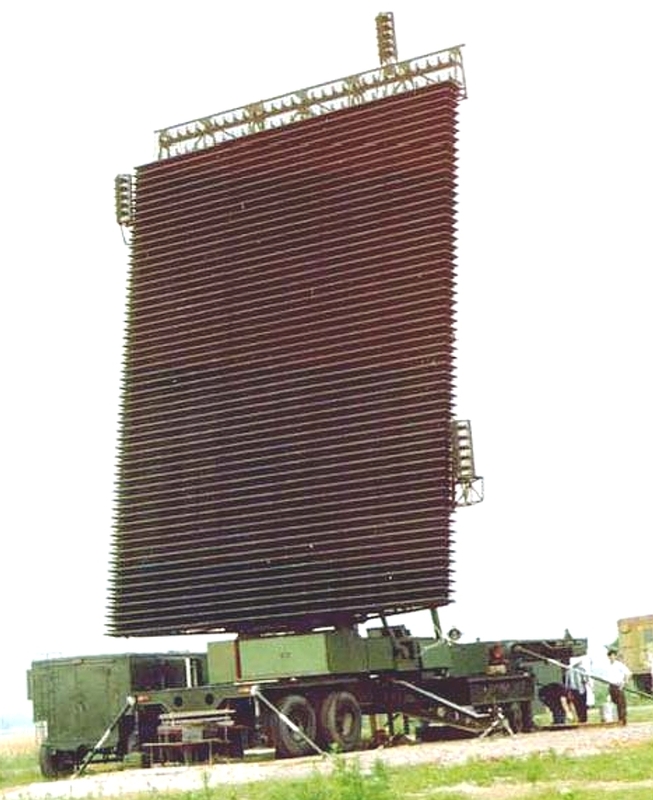 Little is known about this radar except that five YLC-2 radars were handed over to the Pakistani Air Force (PAF) at Faisal Airbase on 15th June 2003, and probably two more in 2006, to be used in support of the PAF air defence network1, where it was reported to be a high-powered, solid-state, long-range 3D air surveillance radar, similarly reported by its manufacturer Nanjing Research Institute of Electronic Technology (NRIET), without reference to having a phased array in either case. 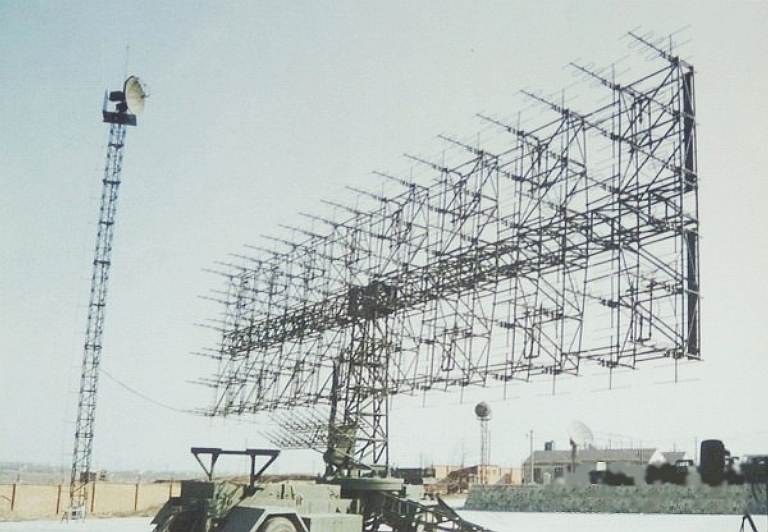 The antenna array has 54 horizontal elements, each fed by a 2.0 kW (peak, at 8% duty cycle) T/R module that is reported to have improved upon the earlier design of the AN/TPS-59 and GE-592 radars of which it appears to be a copy. The main antenna is topped by an IFF/MSSR array. The system is said to have a detection range of 330km, which would suggest a peak PRF of around 455pps and operational PRF of about 300pps. It is reported to have a variety of electronic counter-countermeasures (ECCMs), to enable survival in a hostile electro-magnetic environment. There are two other versions, the YLC-2A and YLC-2V (see) but both employ smaller, more compact antenna arrays and have been declared to function in E/F-band. Chen Zhencheng reported 2.0kW peak for each of 54 T/R modules, implying a system PEP of 104kW. PEP 85kW and average of 5.5kW imply a duty cycle of about 6.5%. A single report suggests an instrumental range of 550km, which would require a minimum PRF of about 275pps whilst a range resolution of 300m would indicated a minimum (processed) PD of 1µs. One source has referred to a YLC-2 radar as the ‘San Zuobiao remote warning radar’. Subject to confirmation, it is assumed that San Zuobiao is the location of a YLC-2 installation. 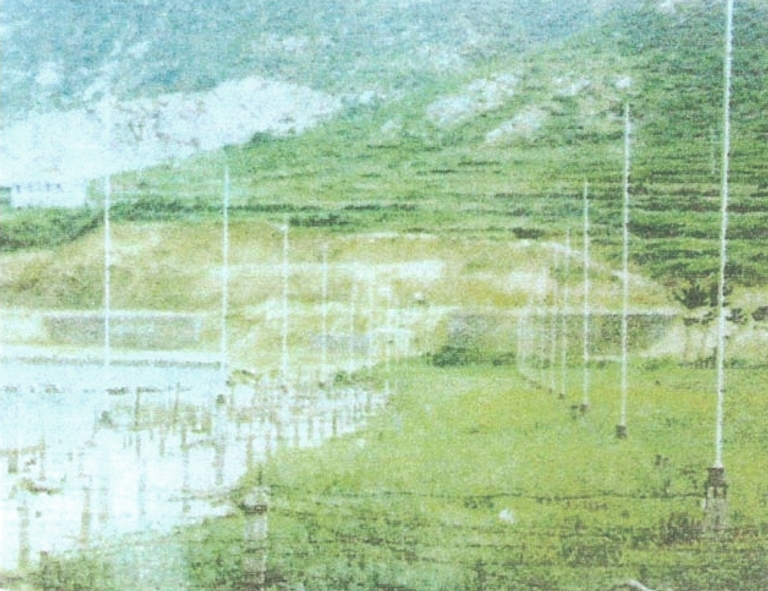 3 Chen Zhencheng,1996 Beijing Radar Conference (pp.171-174). 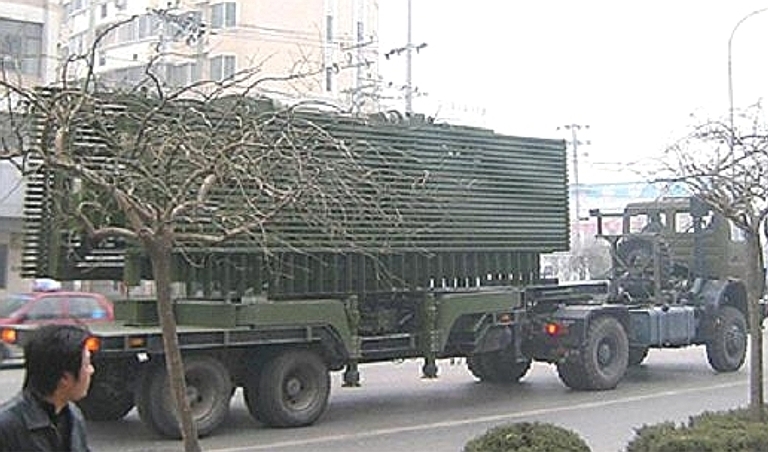 4 Most Chinese radar reporting sources tend to call frequency scanning (Frescan) radars ‘phased array radars’, which from a strict purist viewpoint, they are not. China only has few active phased array systems of which Type 346, installed on Type 052C Luyang II-class destroyers is a good example. Most of China’s ‘phased arrays’ are in fact Frescan systems, mechanically scanning in azimuth and frequency scanning in elevation. A Chinese commentator in Hong Kong stated that it is a far less expensive solution [than an active phased array] but still produces good results - a phrase previously voiced by Russian commentators when comparing active and passive phased arrays. YLC-2A towed variant with reduced elevation resolution. This subtype is carried on a semi-trailer chassis. Self propelled YLC-2V variant deployed and on the move. This radar is carried in the 2004 CRIA listing of Chinese indigenous products. This is a fully coherent, 3D radar with a low side-lobe, planar, phased array antenna. The radar may be used for civil and friendly air traffic management, detection of hostile aircraft and, as in the illustration, it may have an IFF sub-system integrated to determine the friendliness of targets in flight. Recent information (2004) states that the JL3D-90A employs a radio frequency (RF) agile transmitter with a klystron amplifier chain and a low-noise linear receiver using digital pulse compression techniques to achieve long-range detection with good target discrimination. Adaptive digital signal processing is employed with comprehensive BITE. Monopulse sum/difference height measurement is employed with automatic target extraction and adaptive signal processing. Target processing capacity is 100 tracks for every antenna scan (10secs). The antenna cover diagram for a probability of detection of 80% against a radar cross section of 2m2 is illustrated, whilst the processing and display cabinets are shown below. A modern, highly mobile F-band radar with an integrated D-band IFF sub-system designed as a low-to-medium altitude 3D surveillance gap-filling system, capable of military air traffic control (ATC). This radar was first declared (as HUNTER1) at the International Radar Symposium in Munich 1998, where it was stated to be a highly mobile, solid-state, frequency-scanning, target indication radar. For mobility it locates very quickly piggy-back fashion on a flat-back 4x4 truck. The JY-11 is a 3D radar, mechanically scanned in azimuth and frequency scanned in elevation where it has five groups of beams: one long range and four medium range groups. The five groups forming a total of 14 electronically scanned beams providing 30º of vertical cover. Facilities and capabilities include a narrow-beam, low sidelobe antenna with dual, slow-wave structure enabling the radar to operate over two sub-frequency bands separated by 100 MHz, which overcomes the disadvantage of weak anti-active jamming capability in a single band. Digital pulse compression with a relatively low power output, across a large dynamic range, is achieved by a fully coherent highly reliable frequency synthesizer. There is a JY-11B but it appears to have significantly newer attributes. This radar is not carried in the 2004 CRIA listing of Chinese indigenous products. 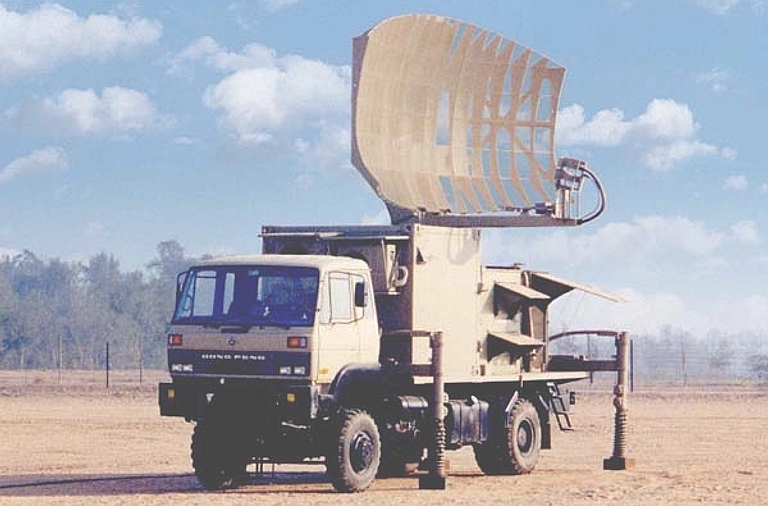 The JY-11B Mobile, Low-Altitude Radar is believed to have been advertised for the first time in the CETC 2007 catalogue of products and is claimed to be a solid-state, mobile, low-altitude 3D air surveillance radar, operating in the E/F-band. It employs ‘reconfigurable’ transmission beams and Digital Beam Forming (DBF) for reception to provide low-altitude and good sea-surface detection, with modern processing techniques including AMTI and pulse Doppler sampling. 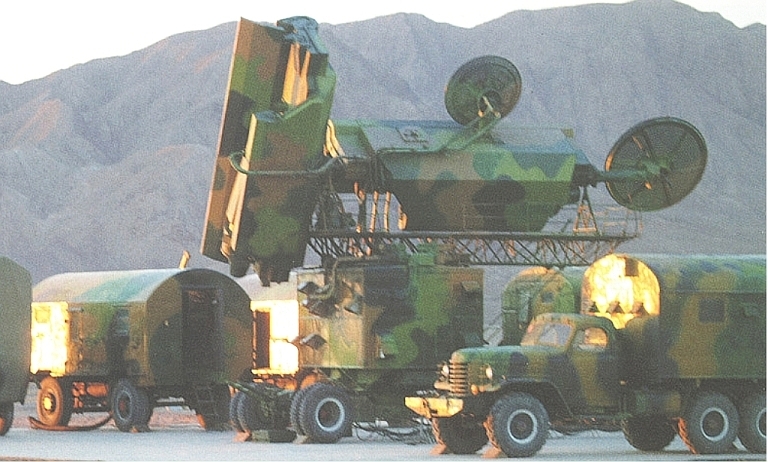 Unlike the forgoing JY-11, this is not a dismountable system but the antenna can be raised on a hydraulically controlled tower to improve the system’s low altitude coverage, very similar in concept and design to the German TRM-S system, or ByeloRussian Vostok E.
CETC 2004 brochure image of the LSS-1 radar (CETC). The LSS-1 is listed as a high-mobility, low altitude cover, 2D gap-filling tactical radar. The antenna comprises 16 (end-fed) elements and it folds down over the drivers cab for transportation. The system functions in D-band (L-band) and may employ Doppler processing. 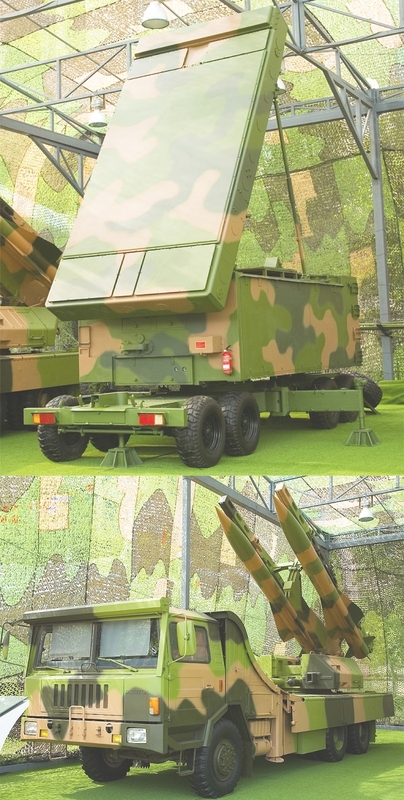 LSS-1 is listed by CRIA as a current indigenous product manufactured by ECRIEE and was presented in model form at CIDEX, the Beijing Defence Exhibition, in May 2004. Since the original notification of production in 2004, the system’s reported measurement accuracy and resolution have been halved. The first reference to this family of radars was as the JY-29, in a 2001 IEEE conference publication. 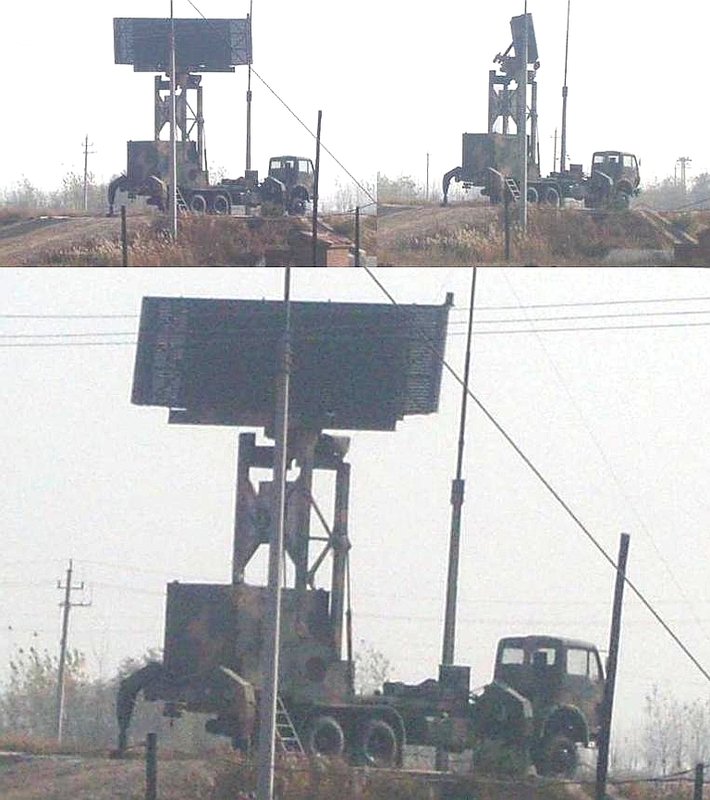 The Type 120 radar, hosted on a North-Benz 6 x 6 military truck, appears to be a direct evolution of the LSS-1 design, for use by PLA air defence units. Given a detection range of 180km would suggest maximum PRF in the order of 830pps. Type 120 fully deployed. Note the hydraulic rams used to elevate the antenna mast (© 2009, Bradley Huang). Self-propelled variant of the JYL-1 (ABN). 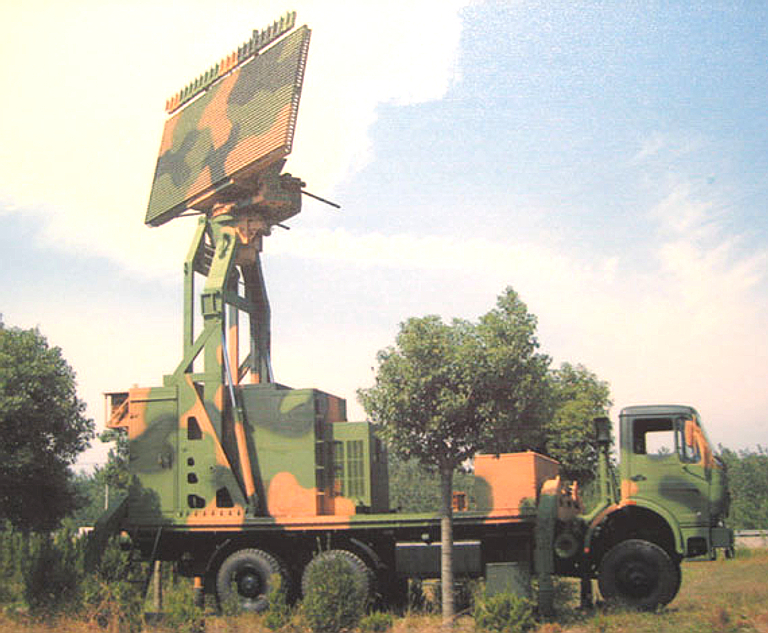 The JYL-1 radar is carried in the 2004 CRIA listing of Chinese indigenous products. 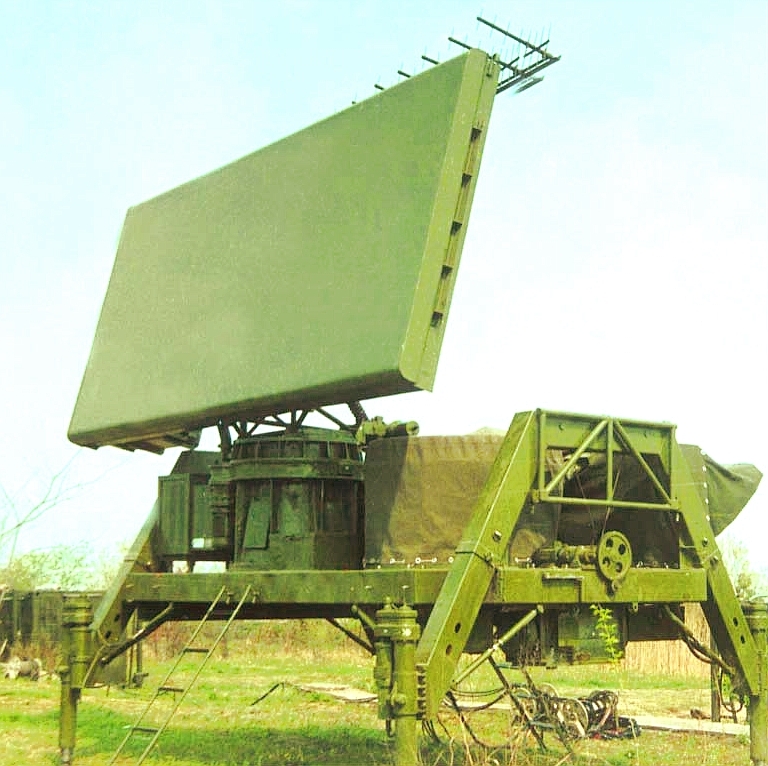 The JYL-1 is a long-range 3D surveillance radar typical of those assets that might be found in a modern air defence network. It functions in the E/F-band region and might be used as either a military or commercial asset for air traffic control and management purposes. In the long-range search mode, max PRF to be expected is approx 430pps. 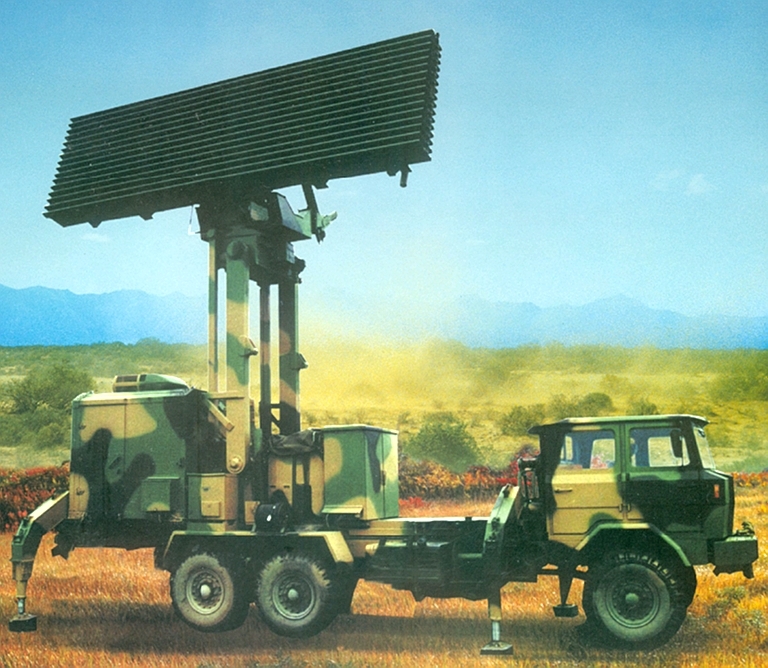 In August 2005, Venezuela contracted three units as part of an air defence upgrade programme, to replace two old U.S. supplied AN/TPS-70 radars. 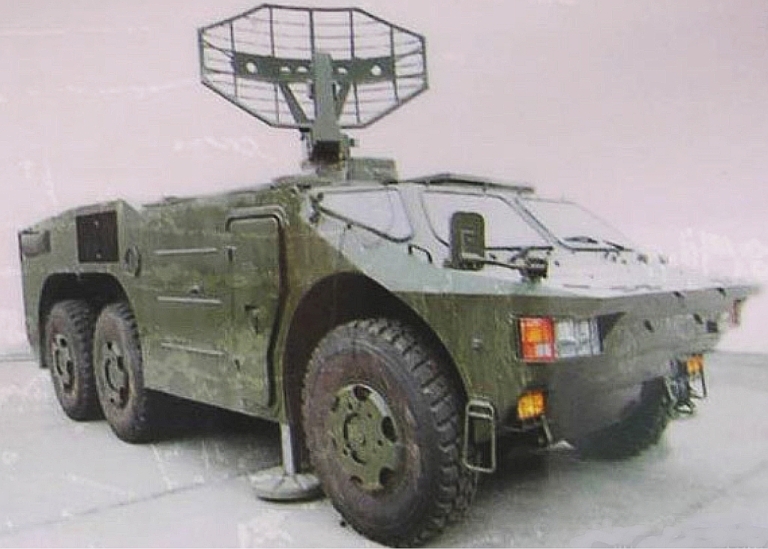 The picture above is interesting because, although captioned as a JYL-1, most pictures show this radar to be mounted on a flat-bed truck, like that shown in the title image, but this is a demountable version, more akin to the JY-11 series . It takes approximately 1 hour by 8 persons to setup the system and a similar time to dismantle it. 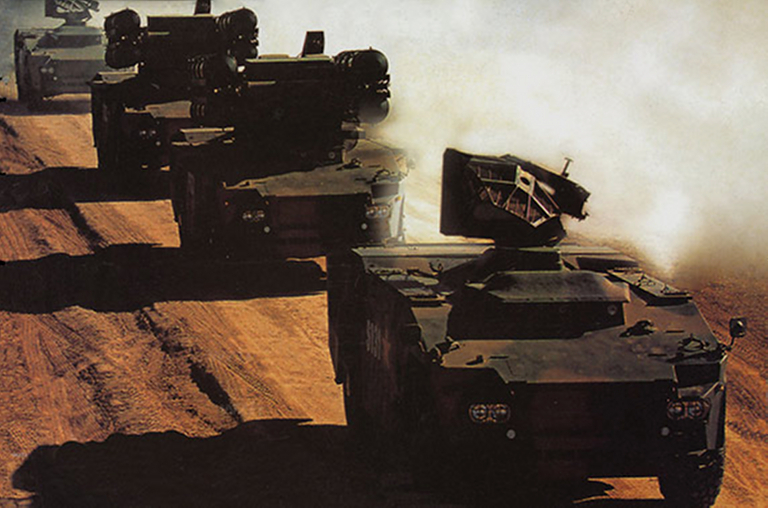 Three vehicles form the system convoy. The latest picture made available by CETC confirms that the antenna is demountable. 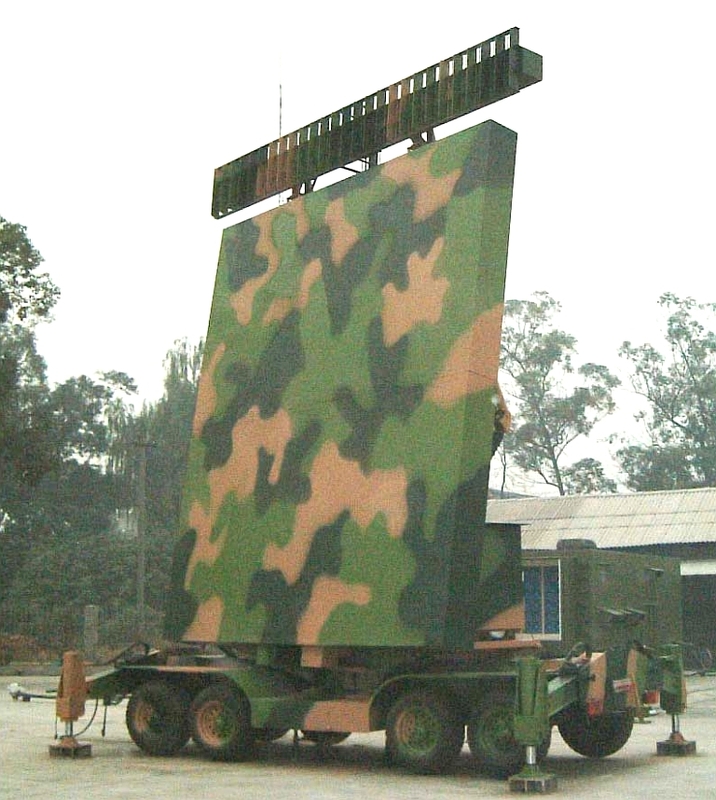 This is a medium-to long-range tactical 3D surveillance radar the primary function of which is air defence, and it is expected to be deployed in regional air defence networks. This radar employs a number of modern technologies including a low-sidelobe antenna, pulse compression, self-adaptive moving target indication (AMTI), with a peak envelope power (PEP) of approximately 1MW. JY-14 is reported to have a range of anti jamming facilities, to ensure normal operation in the most severe of electronic warfare (EW) environments. RF agility range is stated to be 15%, which suggests about 450MHz in the highest RF range listed. There is a selection of 30 RFs within this range available for diversity or agility operations, which suggests repetitive fixed frequency hopping in the latter case. At least one source states that the frequency diversity interval is 150MHz, which might confirm the use of the two lower frequency sub-bands. 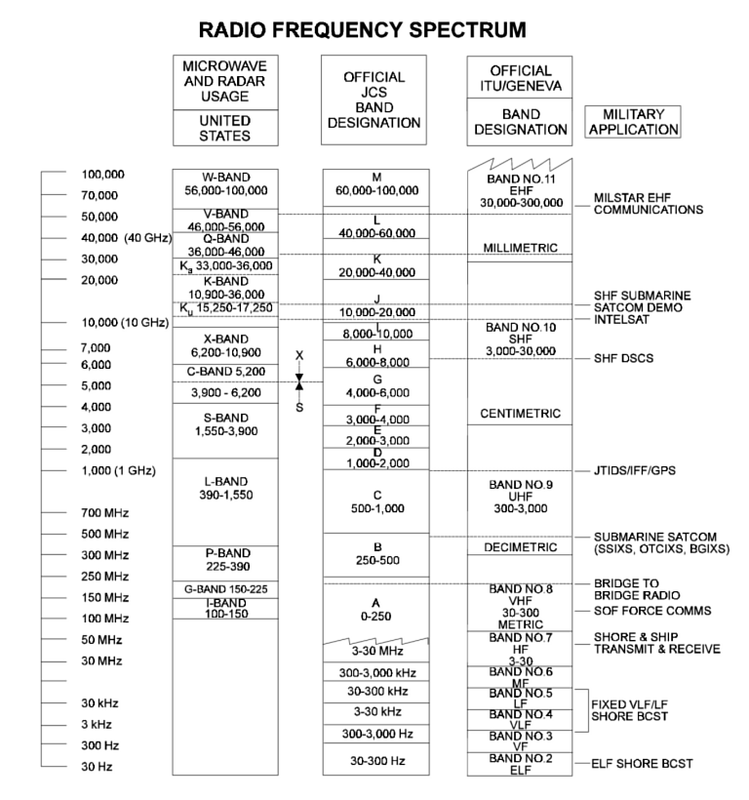 Outside of mainland China, and arguably even within it, the lowest RF band shown is considered unlikely (in peacetime) as it is no longer allocated for radar operations (refer book). On 22nd October 2001, China Reform Monitor No. 410 reported that a JY-14 emitter had been detected in Iran (by electronic intercept) close to the Afghanistan border. 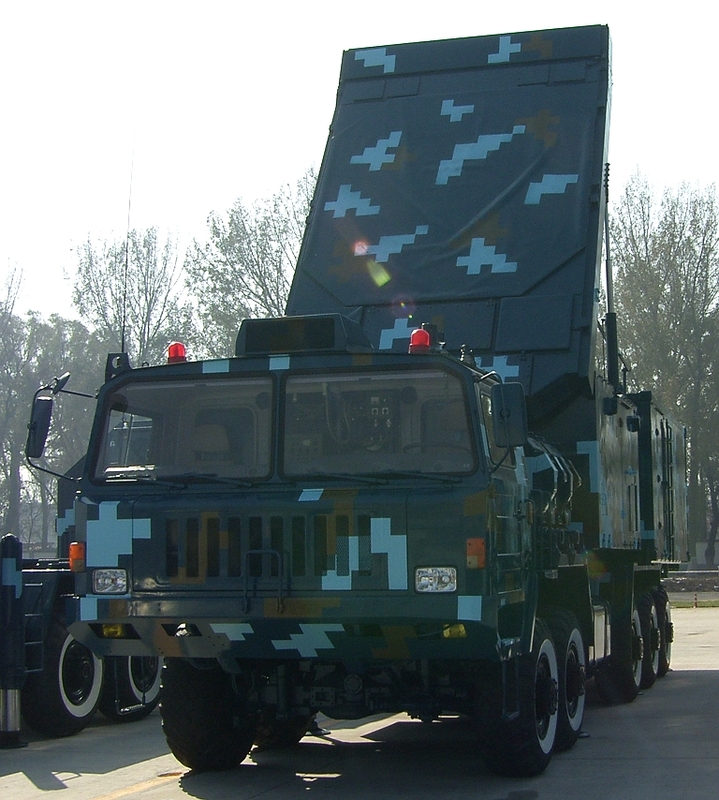 This radar was initially reported at the Chinese International Conference on Radar, held in Beijing in 1996, where a paper described it as a highly mobile, solid-state, three-coordinate, medium-range surveillance radar, developed by NRIET. Since then it has been consistently reported as a 2D radar. The YLC-6 is a demountable radar that incorporates a range of modern technologies including an advanced MTD processor to enhance its tactical performance for both military and civil applications . The YLC-6 has been deployed in considerable numbers along the Chinese coastline, as a second line of air surveillance facing Taiwan. In tests this system is said to have detected and tracked an American AH-64 APACHE attack helicopter out to 30 km. The system’s maximum-instrumented range against a high-flying aircraft is given as 180km although detection range is only given out to 150km, which would suggest a maximum instrumented PRF of 1,000pps and an operational stagger of average about 700pps. Imprecise details of the antenna, its feed and its overall size initially suggested it functioned in E/F-band, which was confirmed by CETC in 2007 and regardless of the 3D claims made in 1996, CETC continues to promote the YLC-6 as a 2D radar. Standard interface to C3I system. High mobility, rapid deployment, Good low altitude detection performance, Excellent ECCM capability, Fully coherent solid-state transmitter, Low side-lobe antenna, Dual channel receiver redundancy, Digital signal processor, Excellent clutter rejection, Automatic hydraulic levelling, Automatic north finding with GPS. 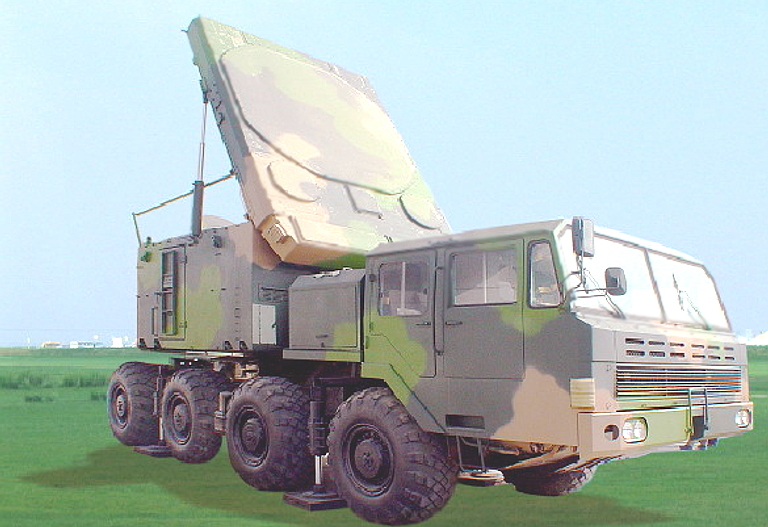 The model (refer book) demonstrates the non-demountable 6-wheel variant designated YLC-6M (M = mobile -assumed) that was shown in Beijing in 2004. Either the YLC-6 or -6M has been exported to Pakistan, which is understood to have required up to 10 units. Meanwhile, the YLC-6M is listed by the CRIA in 2004 as an indigenous product of NRIET that is available for export. 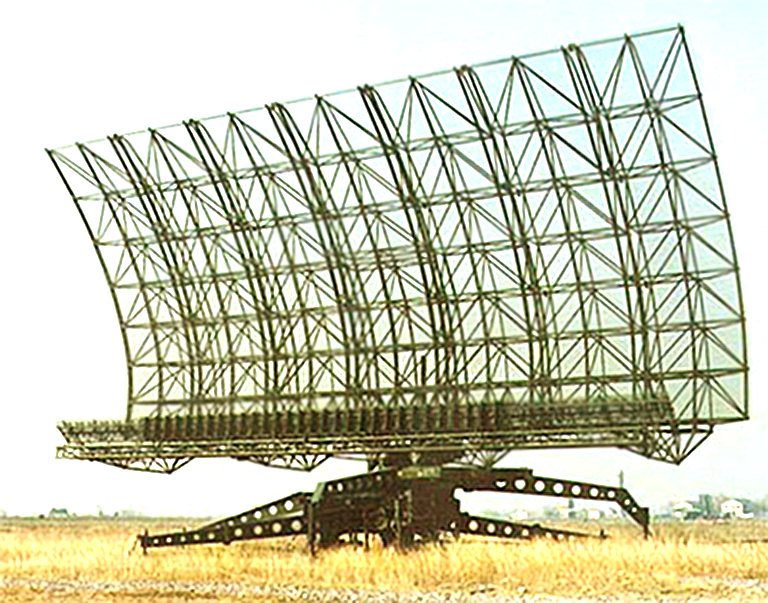 There is a static version of this radar used at some airports and known as YLC-6 ATC. This system continues to be promoted by CETC in 2008. 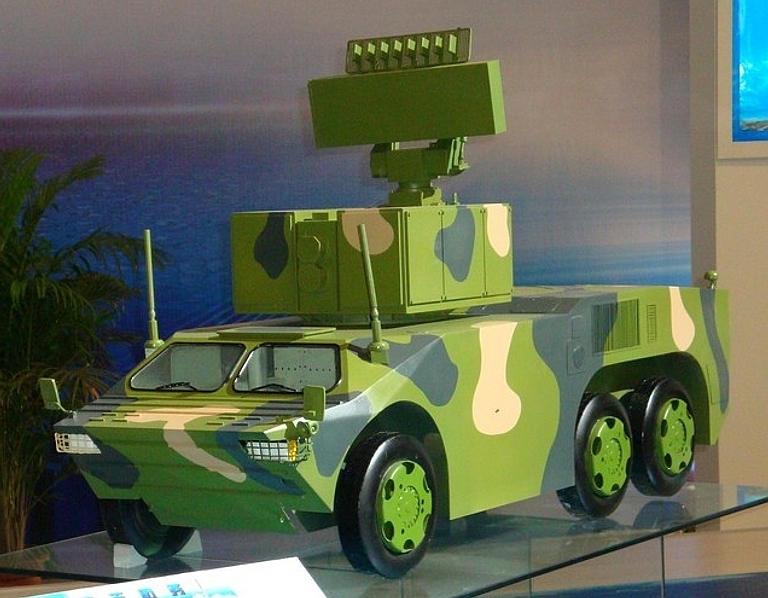 This is a two-vehicle convoy, high mobility, medium-range, low-altitude 3D radar announced by CETC in June 2007 at Singapore. The reported system features are excellent low-altitude performance with high measurement accuracy, strong ECCM capability. Its detection range suggest instantaneous PRF of 600pps thus operational PRF of approx 400 is suspected. In view of its 3D capability and potential to control aircraft and surface-to-air weapons, its likely frequency cover is shown, which is within the ITU regulated bands. The CPMIEC LY-60 is a direct clone of the Italian Selenia (Alenia) Aspide Mk.1, itself derived from the RIM-7E Sea Sparrow. This missile is frequently cited as the direct replacement for the conceptually similar but much bulkier HQ-61. Until recently, only poor quality imagery of this design was available. 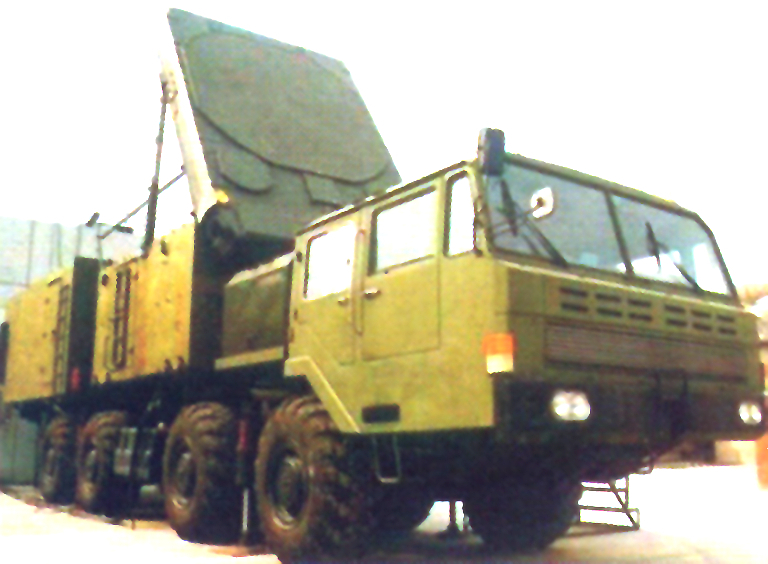 The antenna configuration is similar to that of the CLC-2 SPAAG acquisition radar, and the much larger YL-6/6M series acquistion radars. However, the antenna feed and truncated parabolic section reflector on the LY-60 design differs from both earlier radars, suggesting this is a new design rather than specialised derivative. FM-90 Crotale display model at Zhuhai, 2008. 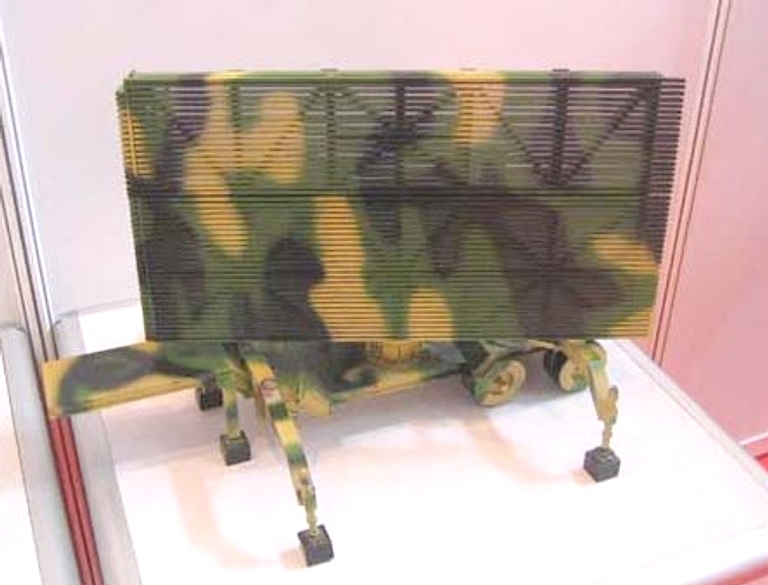 The acquisition radar uses a planar array with a boresighted IFF array (image © 2009, Zhenguan Studio). Two types of acquisition radar are associated with different variants of the HQ-7 family of SAM systems. The first of these uses a trucated paraboloid reflector, the second a planar array design. The earlier configuration has been supplied on a towed trailer, a 4 x 4 vehicle and a 6 x 6 vehicle, the newer configuration only the latter. 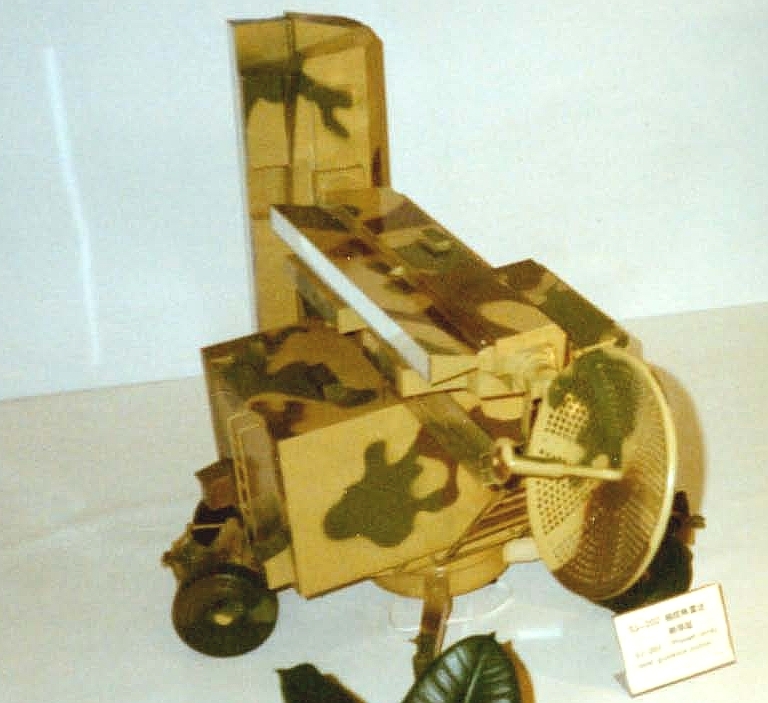 FM-80 towed Crotale display model. 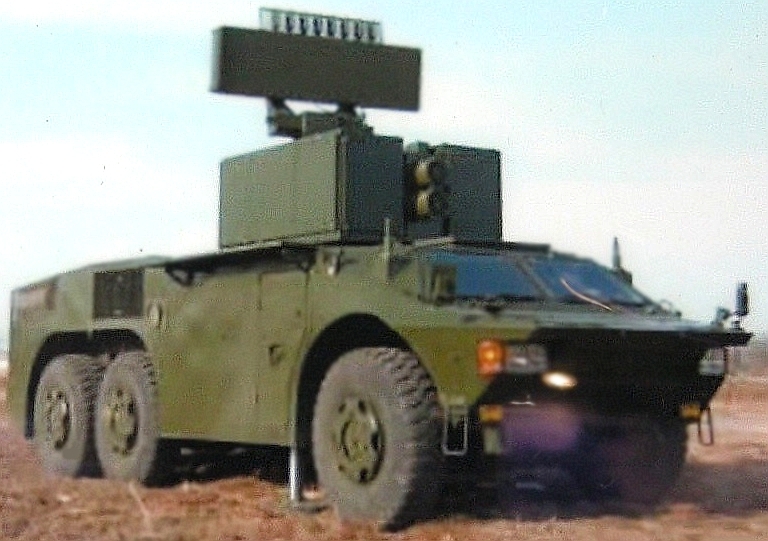 Self propelled variant of the HQ-7/FM-80 acquisition radar on 6 x 6 vehicle (above) and 4 x 4 vehicle (below), stowed. 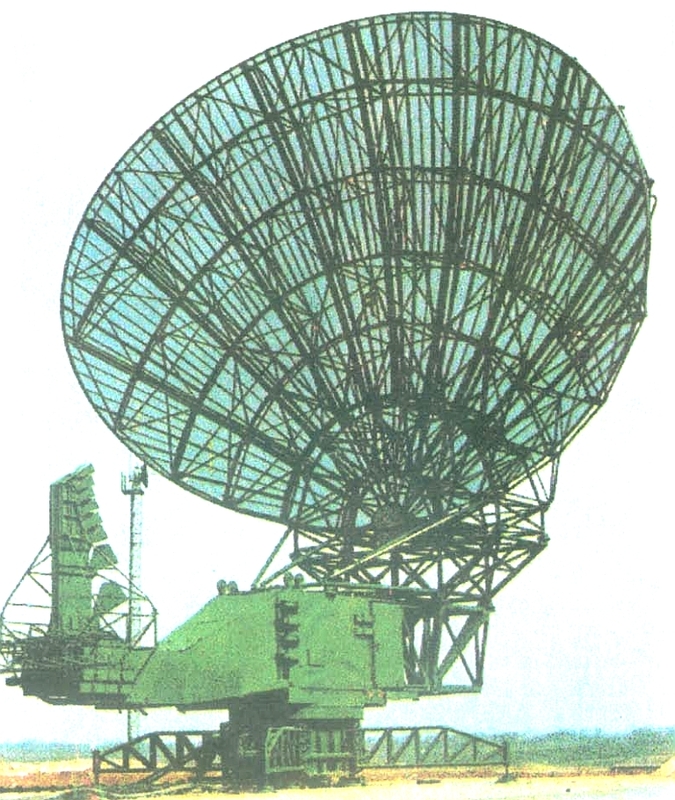 China is reported to have developed its first OTH-B radar back in 1967, although its designation is not known. Since the 1980s two further installations have possibly been added to the inventory, with at least one system looking out into the China Sea area reportedly to target (US Navy) aircraft carriers. 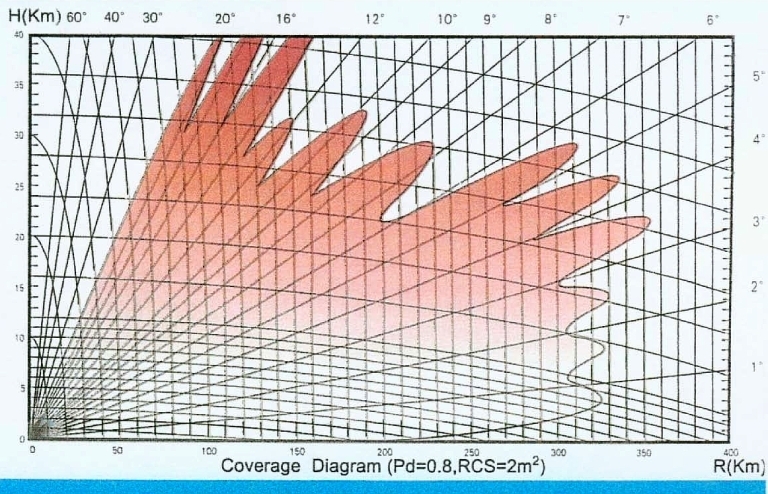 Backscatter systems function at the upper end of the High Frequency (HF) band, typically between 12 and 28 MHz. OTH-B radars are bistatic systems, this is where the transmitter and receiver use different antennas at widely separated locations to achieve detection results. The importance of these systems is that they are not limited by line of sight, as are most radars, but they do require a very significant amount of processing power. This was the limiting factor with early Chinese OTH systems, but may no longer be the case. Because of the very long wavelengths involved, to be efficient, the antenna arrays are extremely large as indicated in the picture above. 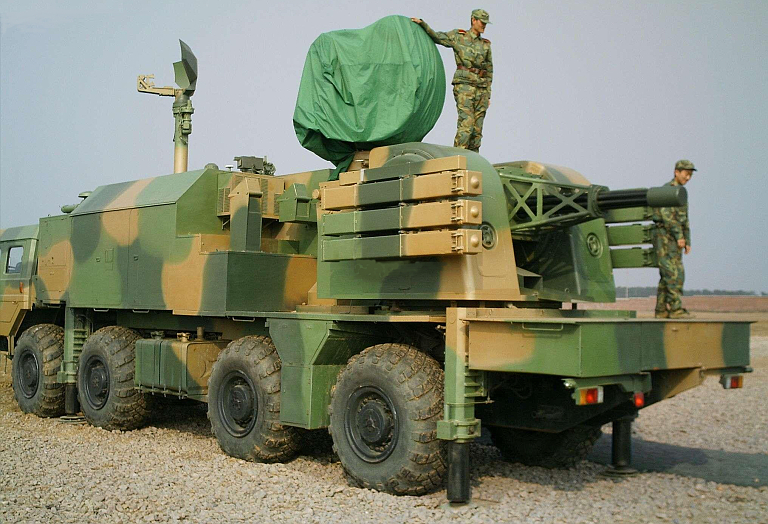 China's OTH-B is said to use Frequency Modulated Continuous Wave (FMCW) transmissions to enable Doppler measurements, the suppression of static objects and the display of moving targets. 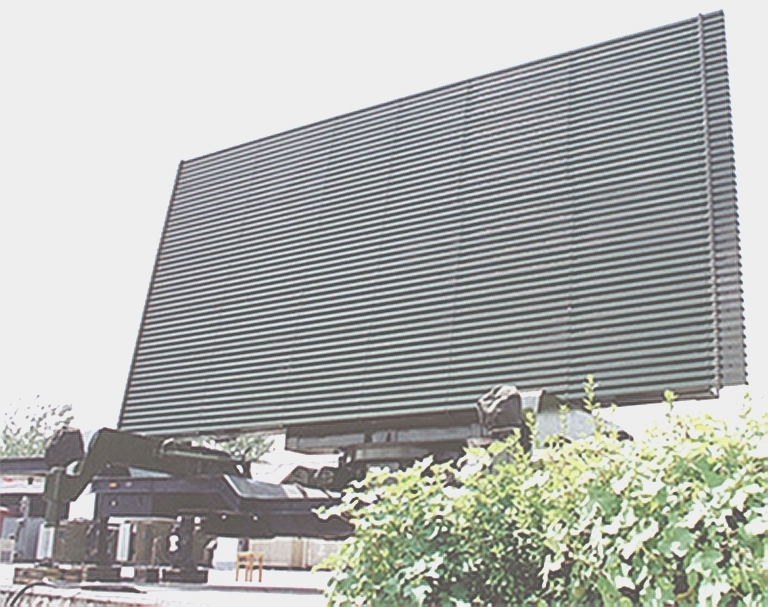 On 14th November 2001 www.china.com reported that CEIEC was (then) developing a new OTH radar because only one system was currently available (presumably the one shown at its web site), which is the one assumed to be sited near the HQ of the South China Fleet at Guangzhou. Surface Wave-OTH (SW-OTH) radars are used to detect surface ship and low air activity beyond the visible horizon, out to about 300km, although the absolute range is dependent upon atmospheric conditions, system power and the time of day. The designation of China's SW-OTH is not known, but reliable reports suggests that she has at least two systems in operation, with one ranged over the Taiwan Straits in 2003. CEIEC brochures state that China’s SW-OTH system uses FMICW and FMPCW transmissions, which probably translate to Interrupted and Pulsed FMCW. This system, albeit undesignated, is currently being promoted for export by CEIEC. Two antenna arrays are shown. The single mast may support a Rhombic transmission array whilst the reception array of dipoles appears to be arranged across a bay. Several dozen technical papers by Chinese authorities have been reproduced in the West concerning OTH systems, including those listed in the footnote (refer book). Very few pictures of Chinese OTH systems have been made available and those that are, are generally of poor quality. The one above is reported to show a SW-OTH receiver array – across the mouth of a bay - at an unknown location. Further confirmation of the existence of Chinese SW-OTH systems is supplied by amateur radio enthusiasts (HAMS) intercepts and bearing fixes an example of which is supplied by callsign VE7BZ based in British Columbia, who recorded the radar's signal on 1st October 2006, 1353 UTC, on 3.795 MHz.40 The detected audio is quite a rasping sound. Additional intercepts from California and Arizona place the emitter on or in the close proximity of Hainan Island, although Google Earth searches have failed to identify the location of this source. What is reported to be a Chinese SW-OTH site has been identified on the coast southeast of Shencheng, in Zhejiang Province. The transmitter is located at 27º 46’ 58.70” North, 120º 45’ 54.41” East, whilst the receiver is approximately 3km southwest at 27º 45’ 26.88” North, 120º 45’ 04.98” East. The control centre for this site is just 1km northwest of the receiver site and is readily identifiable.